Scott Pruitt, the EPA administrator, has a long list of scandals that continues to grow each day and that keeps raising questions about whether he has committed ethics violations. On Thursday, reports surfaced that Pruitt asked members of his security detail to run several errands for him, including picking up his dry cleaning and helping him find one of his favorite fancy moisturizing lotions that was reportedly being sold at multiple Ritz-Carlton hotels. 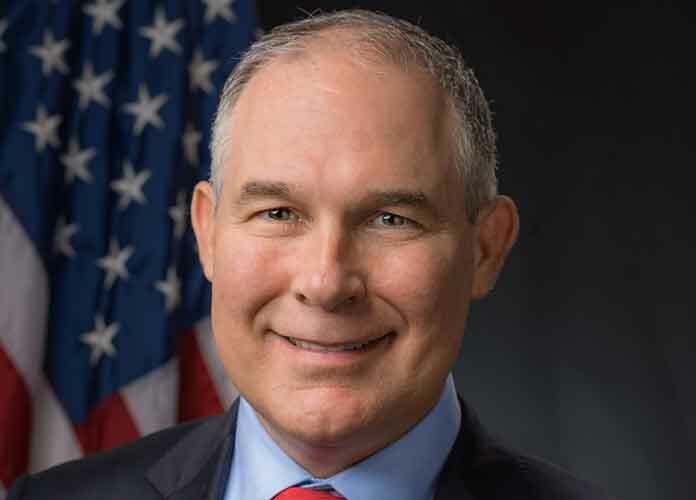 Among the other recent scandals Pruitt has found himself at the center of is him asking EPA staffers to obtain a used mattress from a hotel owned by President Donald Trump. Pruitt is also accused of misusing funds for personal use like buying a soundproof booth for his office, and for enlisting the help of a staffer to get his wife to open a Chick-Fil-A franchise. Two of the agency’s top aides resigned on Wednesday amid Pruitt’s growing list of controversies. Both of them, Millan Hupp and Sarah Greenwalt, previously worked for Pruitt when he was attorney general of Oklahoma. Pruitt was interrogated by lawmakers in April about his multiple suspected ethics violations, and many congressman at that time suggested or even explicitly told him he should resign. According to EPA data, Pruitt’s 24/7 security detail have cost taxpayers almost $3.5 million since he took over the agency in February 2017. Before he became the EPA’s administrator, Pruitt tried to sue the agency several times. He has also denied many facts about the environment and climate change that scientists agree on, including that carbon dioxide is a polluting gas that contributes to global warming. Earlier this month, the EPA took a major step toward rolling back a Barack Obama-era rule on car pollution. California, one of the nation’s leading states in encouraging the use of renewable sources of fuel and energy, is seeking to fight the agency on this move.